Today is the last day of April. How is that even possible?!? The end of April also means it’s the last day of National Pecan Month. Noooooooo. I end this most fantastic April with a cocktail! Yes! 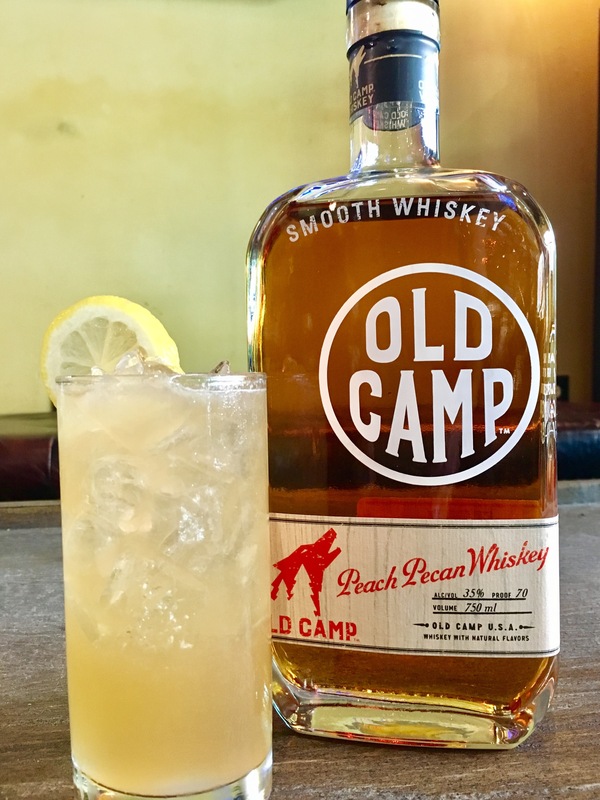 For this one we’re reaching for Peach Pecan Whiskey from Old Camp Whiskey. Ohhh yeah. My first taste of this whiskey made me close my eyes. It was so good! You could definitely just sip it by itself, but I could also see it in several cocktails. My favorite way to use it is with hibiscus syrup, ginger beer, and a bit of lime juice. So tasty! Old Camp Whiskey is created by the boys of Florida Georgia Line. Tyler & BK pushed the envelope on this one – taking inspiration from their innovative fusion of country, rock, hip-hop and pop – to create a whiskey that’s truly unique. Old Camp is a Peach Pecan, easy drinking whiskey that doesn’t sacrifice anything to be smooth. A little bit of Florida, a little bit of Georgia. 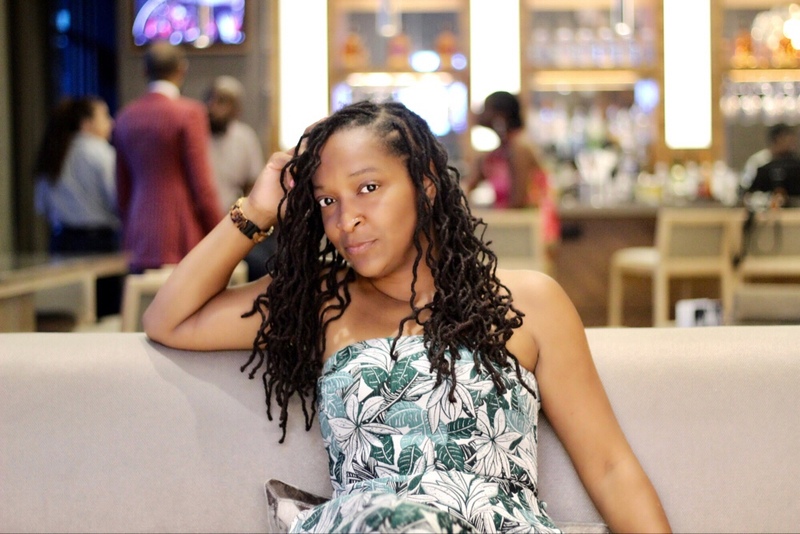 I recently sat down with fellow blogger, bartender extraordinaire, and awesome friend, Amber, for a meeting of minds. We bounce the best ideas off each other! Stay tuned! In the mist of our brainstorming, I pulled out a bottle of Old Camp Whiskey for some extra inspiration. 👀 Of course I had to ask my favorite bartender to create an amazing cocktail to celebrate National Pecan Month. And that she did! This Georgia Peach really knows how to shake things up! Check out our fantastic sips! More recipes to come! Shake all hard with ice. Top with ginger beer. Name a cocktail you make for someone you want to impress someone. I’d make a Highland Old Fashioned. We smoke the glass and the entire production is beautiful. The penicillin. Essentially bartenders are solving problems and playing therapist too. I would make a drink for Lucille Ball… my fav episode is when she got “drunk” off of cough medicine😂. I’d make her that Penicillin drink! lol! If you could drink one cocktail every day for the rest of your life what would it be? Margarita everyday. There’s so many ways to switch it up. I have the power to turn that frown upside down…. before the drinks!!! It takes a lot to get people to open up and often bartenders don’t have time to engage in convo. I use my superpowers to shift their mood!!!! Cocktail request that makes you roll your eyes. Not a cocktail snob, just make it right. Don’t be intimidated by your skill level (or lack thereof) … I started learning as a way to “make myself useful” since I was at Sutra all the damn time. I ended up getting thrown in on a Friday night a few months later and have been doing it every since. Don’t be afraid to ask questions, especially when people order these crazy named drinks…. sometimes it’s just a fancy way of saying rum and sprite😂😂 veteran bartenders who love what they do are always willing to help. You can also find Amber serving up good vibes behind the bar at Highland Cigar! *I received Old Camp Whiskey complimentary. All options are my own.